ACOUSTIC EXPO 2013: Paul Reed Smith Guitars is one of the world's premier guitar and amplifier manufacturer located in Stevensville, Maryland, USA. Since our humble beginning in 1985, PRS Guitars has continually sought to create the highest quality instruments. Though acoustic guitars are a newer product for PRS, the concepts that go into making them are not. Acoustic resonance and quality are important to PRS and these philosophies translate wholeheartedly to their acoustic guitar line. PRS employs a proprietary bracing pattern that is designed to create a loud, balanced guitar. This bracing pattern locks down the sides and back but lets the top vibrate to push all the sound out of the guitar. In addition, PRS acoustics have an extremely thin finish and a thinner than normal top that also aids in these instruments' stunning resonance. Click here to download the PRS product brochure. Because these guitars have such a beautiful, natural tone, the proprietary pickup system was carefully designed to essentially be a microphone attached to the bridge plate. This pickup allows the guitar to be plugged directly into a powered monitor (with no board necessary) and amplifies the guitar's natural tone. When PRS started prototyping acoustic guitars, founder and owner Paul Reed Smith looked to Antonio Torres, a man whom many consider to be the Stradivari of the acoustic guitar. It is PRS' hope that the careful consideration of these historic instruments is apparent in the quality of their acoustics. Click here to learn more about the PRS SE Angelus. One of the world's finest acoustic talents, Tony McManus was described by no less a player than John Renbourn as "the best Celtic guitarist in the world". His deft technique and incredible feel are legendary, and PRS Guitars is proud to include Tony's signature guitar among our acoustic line-up. You can hear Tony playing it below in his stunning rendition of Erik Satie's Gnossiennes - No1. Click here to watch a video about PRS acoustic philosophies. 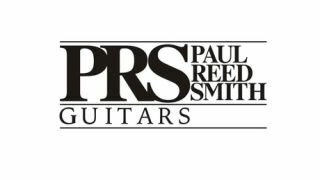 A stellar line-up of acoustic wizards, Tony McManus, Martin Simpson, Ricky Skaggs and Cody Kilby, recently met with Paul Reed Smith for part two of PRS Guitars' Foundations video series. Here the artists talk about finding a voice on your instrument, tone and more. For more information visit the official PRS website, or connect with them on Twitter, Facebook and YouTube.